HER NEW ROLE: Seasoned journalist and Press Association of Jamaica (PAJ) Vice-President Gillian Haughton has been appointed the new CEO of the American Chamber of Commerce – Jamaica Chapter. Her appointment takes effect February 11. 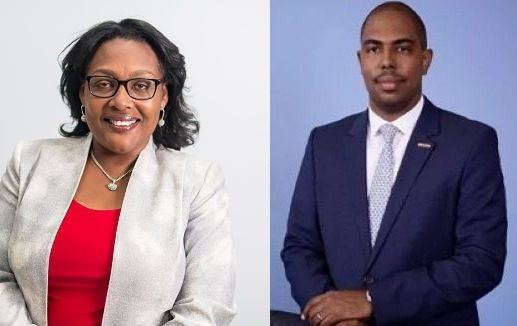 In her new post, according to AMCHAM, Haughton will ensure that the organization continues to leverage itself in promoting trade and investment opportunities in Jamaica, the United States, the Caribbean and other companies worldwide. With a communications career spanning 30 years, Haughton, a UWI Mona graduate, has worked in media, the advertising industry and in government. TEAM LEADERS: As part of an ongoing transformation process to streamline the company’s structure in alignment with its 100th anniversary objectives, GraceKennedy has announced major changes at the senior management level, taking effect April 1. Among the notable movements: Grace’s current Group Comptroller, Andrew Messado, will be appointed Group Chief Financial Officer, replacing Frank James, who is being made CEO of their Domestic Foods Division; Lee-Ann Bruce will be appointed Chief Compliance Officer; Grace Burnett will assume the role of President/CEO of GraceKennedy Money Services (GKMS), replacing Michelle Allen, who retires at the end of March; Steven Whittingham takes over as Chief Operating Officer of the GraceKennedy Financial Group; Chaluk Richards will assume the position of General Manager of GK General Insurance, replacing Andrew Leo-Rhynie, the new Managing Director of GK Capital Management. Tamara Thompson will be appointed General Manager for Grace Foods & Services. BUILT TO LAST: The five finalists in the Houses of Parliament Design Competition have been selected. 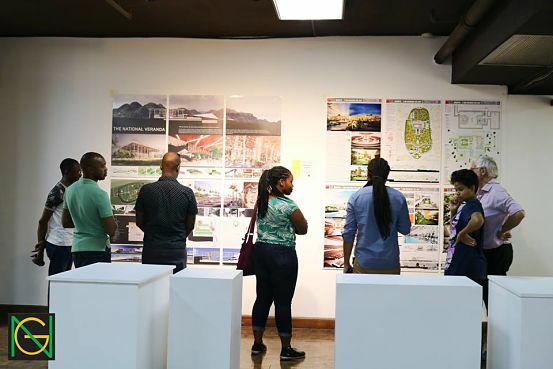 From a pool of 24 submissions, the contenders are: GSA Architects & Planners; Form Design; Atelier Vidal Architectural Firm; and Design Collaborative Architects & Town Planners. Ahead of a final decision by the judging panel, the public is invited to check out the designs (currently on view at the National Gallery – The People’s Choice Exhibition – until Feb.28) and vote for their favourite. Votes can also be submitted during the exhibition period via text message to 1-876-399-4774 or by visiting the competition’s website, ourjaparliament.com. The finalists are vying for a grand prize of $5 million.